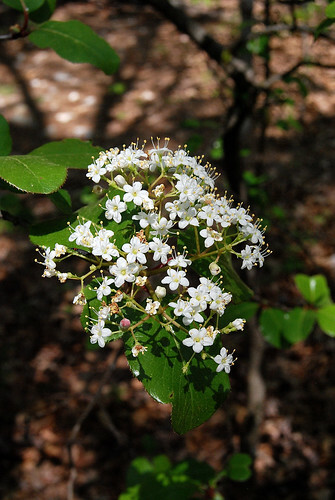 The weather was so hot that day that the blooms were falling almost as soon as the began to open. 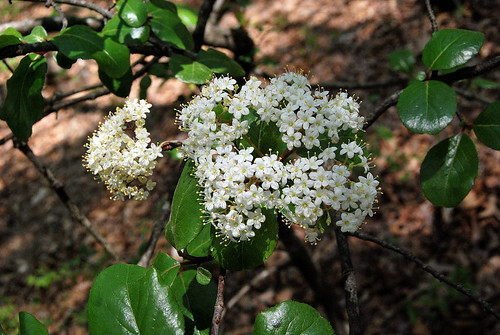 Note the shiny leaves and the bright white flower cymes of Viburnum rufidulum, or Rusty Black Haw. 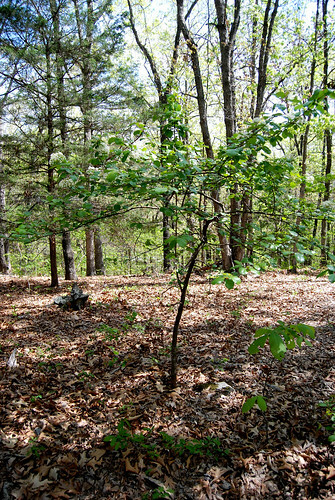 Entire tree of Rusty Black Haw as seen from the trail at Piney Creek Wilderness on March 31, 2012. 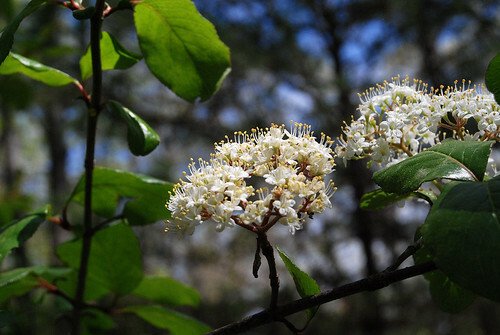 This entry was posted in Trees, Trees in Bloom and tagged Flowering Tree, Ozarks, Piney Creek Wilderness, Rusty Black Haw, Southern Black Haw, Spring, Viburnum rufidulum, White on April 9, 2012 by Ginger.